A family of four from Denmark that’s stayed at Mads and Clare’s homestay, Shivapuri Retreat before, arrived yesterday evening for a two-night stay. We had a delicious Nepali meal and nice evening chatting. Everyone hit bed by about 10pm and I’m looking forward to getting on an earlier evening, early morning regime over the next few weeks, which will hopefully hold beyond that. Their cat (named ‘Cat’) apparently had Red Bull and was up all night terrorizing me. Managed to get 30 minute chunks of zzzs in, but was tired by the time 06:00 rolled around. Order of the day was a longer, more challenging mountain bike than yesterday. Christian (Danish visitor) used to be an avid rider but has fallen out of it since moving to Qatar with his wife and family near two years ago. We were pedaling by 08:30 and it was quickly evident I had little cardio ability (which I knew before but nothing like real action to prove it) and I remembered I’d not climbed a hill in about a year. Living in Bangkok isn’t good for climbing as much of it lies between 1-4m. I struggled, stopped, panted and Mads and Christian were good enough to wait and not make me feel bad for my lack of pace. The Scar Route is a challenging singletack trail that I’d ridden about five years ago on a previous visit. It’s been shortened due to a new road being built but is still a wild ride. This is my fifth visit to Nepal (lucky guy!) and I’m by far in the worst shape of my life. Each time I rotated the pedal one stroke while heading up, my head pounded, heart raced and I felt terrible. How have I gotten so out of shape? The first 15km took us across a couple mountains, then we picked our way down a thrilling descent through a village to the main Trisuli Highway. When we dropped in to our final path between some houses, locals shook their heads suggesting this was not the way to go. Who could blame them, as there were a couple short parts we had to walk but no one in that village has a bike with disc brakes and suspension that could get down terrain like this. We did almost like rock stars. At the highway we had come 15km, grabbed a Coke and Nepali tea while waiting for a truck Mads arranged to drive us up to the top of Kakani, a hill station where the next part of the ride begins. Serious riders sometimes make the 12km ascent up the winding road but thankfully we didn’t have to. We grabbed some noodle soup at a mall restaurant, a bit of chocolate and my two riding partners split a beer. We still had half the journey to go and I knew I was in no shape to risk the impact a beer would have on the rest of my ride. 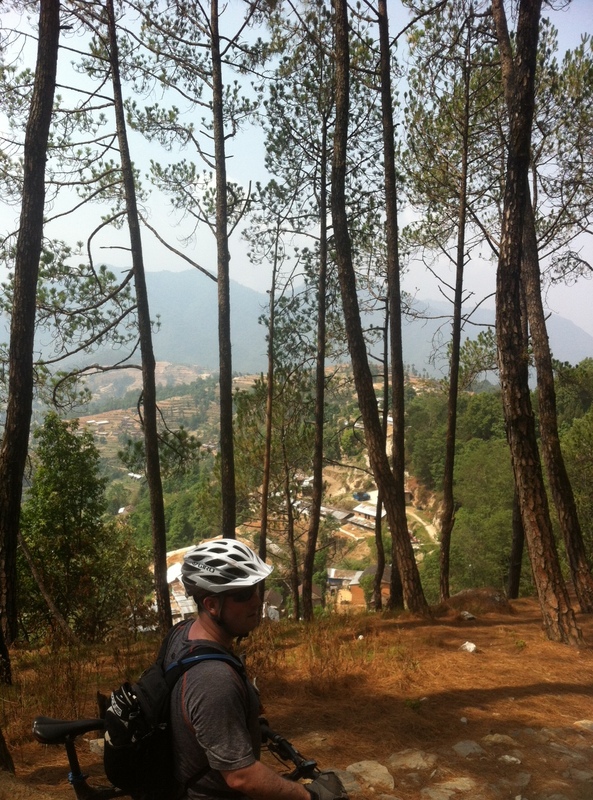 Off we went, starting with a 3km singletrack climb into thick pine forest. I was wasted with little strength and for the first time since living in Asia (1999) I was feeling a bit over my head and exhausted. I decided to walk when I could not ride and at least keep moving. At the very top the fun began but I was so knackered I could hardly enjoy the madly quick descent along world-class singletrack. Eight km of undulating dirt track brought us back home with a 28.5km ride under our belt (the total journey with truck assistance was 40km). It felt at least double that. The only thing that can make me feel physical better and stronger I guess is to get right back on the two-wheeled Norco Fluid I ride tomorrow. I just hope Mads doesn’t have a ton of climbing in store! On a personal development note, I’m working on three books simultaneously, something I’ve never done before. One is Beer School, by the founders of the Brooklyn Brewery about their journey from idea to success. The second is to sample and learn about short stories while having fun in the form of Night Shift by Stephen King. Finally I began reading Transitions: Making Sense of Life’s Changes yesterday, which was recommended by professors I had during my Fall 2011 sabbatical at the East-West Center in Honolulu, taking part in their Asia Pacific Leadership Program. A key component of my time in Nepal, and the next two months, is charting who I am and my future course in life. I thought this book was a good starting point. Tomorrow’s goals: read a bit of two or more books, look at possible templates for a major revamp of this blog into what will eventually become a larger personal profile webpage, hit the trail on the mountain bike and play with Oskar. 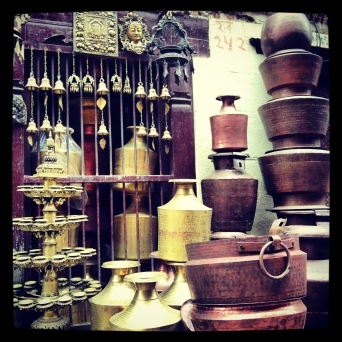 Note: to ensure I keep up this blog while in Nepal I’m writing rather quickly and posting perhaps sooner than I should. If I spend too much time wordsmithing I’m bound to not keep writing and posting successfully. Finally, I have been tracking the bike rides using my Garmin Forerunner 110 watch and have exported the tracks to Google Earth files, but as of yet can’t figure out how to imbed them in this blog. I hope to solve this issue soon and share where we’ve been with you. Thanks for reading! It was a free theme on WordPress from some years back. Search for “The Elegant Grunge Theme”.